A “husky”, unless mentioned as a specific breed is any Alaskan Husky or mixed breed Northern Dog. Alaskan Huskies come in all shapes, sizes, and colors. These dogs are bred for performance not for set breed standards or looks. A good sled dog is a combination of speed, endurance, good feet, good coat, and a good attitude. At Cold Fire Creek our kennel is made up of mostly Alaskan Huskies. The Alaskan husky has been proven to be one of the best sled dogs today. They are fast, mild mannered, and very easy to work with. Siberian Huskies, Alaskan Malamutes, Canadian Eskimo Dogs, and Samoyeds are other pulling Northern Breeds. We do have some Siberians and Siberian crosses in our kennel, but we do not currently have any of these other breeds. Usually a Musher will stick with one breed to have uniformity within their teams. 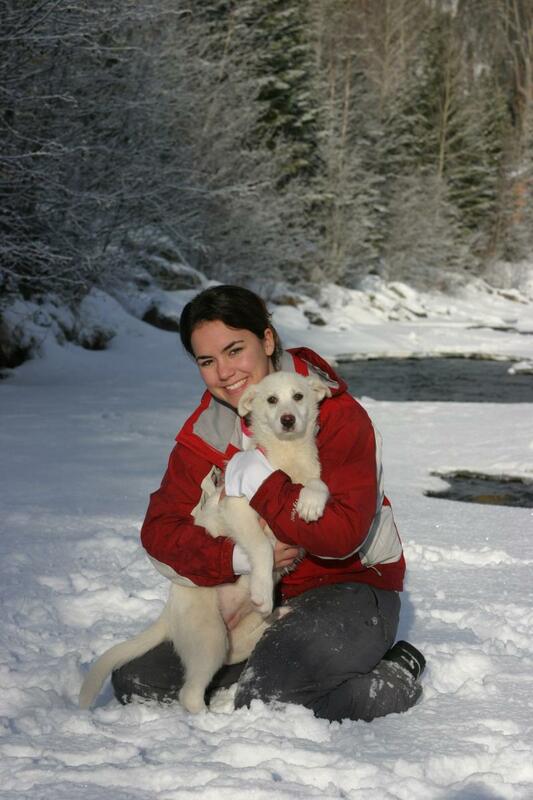 Alaskan Huskies are well suited for the deep snow and mountainous terrain on which we conduct our tours. Truth be known, the Alaskan Husky is much faster then ALL of these other breeds, and we feel the need for speed! 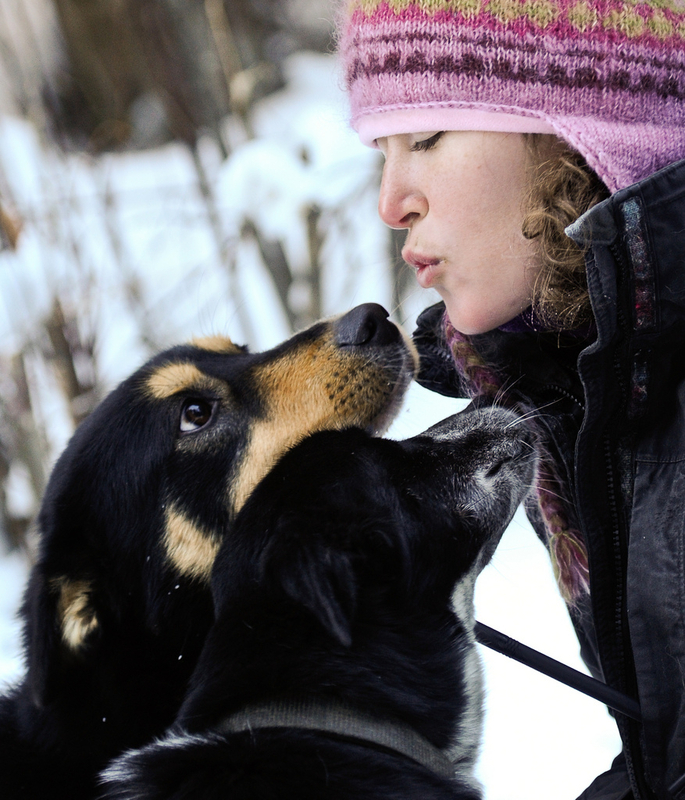 At Cold Fire Creek the care and love for our 90 sled dogs is our number one priority. Ethics are never compromised as we feel our dogs deserve the very best! Our passion and commitment is evident in the health, welfare and happiness of each and every dog. We can say we are in fact regulated under the Policy of the Land Act in BC. We strive to exceed all requirements and best practices as set out in the BC Sled Dog Code of Practice. We feel ALL kennels; sled dogs or not should be required and make every effort to do the same. 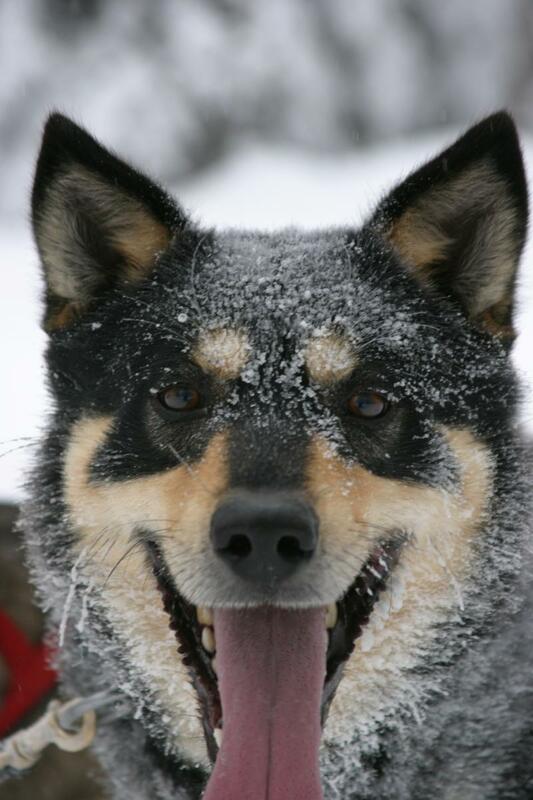 Cold Fire Creek Dogsledding promotes and proudly exhibits Honourable and Humane Mushing! Everything starts and finishes in the kennel. Our kennel is right out our front door! We think it is important to be close to the kennel to keep watch over the dogs and be available should any one of them require our help. Our kennel is divided in to two sides to keep the males and females separated as to control our numbers. We believe in spaying and neutering those that we wish not to breed. Having some fixed dogs makes things easier as well it helps keep weight on those dogs that are hard keepers. As a Musher/Operator we must ensure our dogs are happy and healthy in order for them to be able to do their job well. Providing the highest quality food that will meet the caloric requirements of each dog individually is essential. Not every dog's calorie requirements are the same. Some dogs require as much as 2 times the calories of another to maintain their ideal weight. During very cold temperatures or intense work extra fat is necessary. Fat fuels body heat as well as provides the best source of energy for sustained work. We feed chicken, liver, beef fat, herring meal, rice, corn oil, and high quality kibble. The dogs, main meal is at night. Each dog has their own bowl and is fed a mixture of the above along with warm water baited with chicken tallow. Any left over food from the night feed is then used to bait the warm water in the morning for their high caloric chicken soup. After each tour the dogs are also watered again and snacked with home made cookies made of ground beef fat, organ meat, chicken and kibble. Not only is food important, so is the environment in which the dogs live and are raised. Most of our dogs are tethered and are close enough to play and socialize with neighbouring dogs. Every dog has their own house. We have four 10x20 pens with big houses used as whelping pens and recovery pens. We also have two very large pens used for the puppies and older retired dogs so they can run around and have room to play. The rest of the dogs get moved into pens on rotation in the day so they too can run around and socialize. Some of the retired sled dogs get the run of the kennel. They are free all the time as we believe they earned it. Houses are filled first with wood shavings as an insulation barrier on the bottom and then straw. Dogs should have clean dry bedding - and lots of it! One of my favourite things to do is to hand out bedding. The dogs get so excited when they see the wagon coming with the straw! Sometimes you can barely get the straw in the houses because the dogs are in there trying to help us! Also extremely important is the cleaning of our kennel. Our kennel is cleaned at least twice a day. Once in the morning and again at night. If it is snowing out we even will do it again so it does not get covered up and buried. The veterinary health of each dog is not to be forgotten. All our dogs are vaccinated, dewormed, and vet checked during our annual inspection. We do not hesitate to provide veterinary care proactively and when needed. Our dogs have been taken care of by the same veterinarian since our existence! Our vet knows each and every single one of our sled dogs by name. She comes to our kennel and goes over each and every dog from nose to tail on vaccination day. She will even come to our kennel when we have an old or sick dog that requires her help to get them to doggy heaven. We keep most of our retired sled dogs that are no longer capable of doing tours. Most of them do not retire until they are 12 years old! They still want to run, but cannot keep up to the younger faster dogs. We find they still are very keen and useful to teach the pups and yearlings. We have found adoptive homes for some of the younger dogs that retire. We believe some retired sled dogs can make good pets as well. The attitude and demeanour of dogs is part hereditary but mostly influenced by the upbringing and socialization of the pup. Everything must be kept positive. From the first time a new born is picked up to their everyday handling, dogs require affection, respect, trust, socialization and leadership. I tell our guides that I can teach them to drive a dog sled but they have to build respect and trust with each and every dog on their own in order for those dogs to work well for them. The easiest way is the simple gesture of grooming the dogs. The dogs love it; it's positive, and it's one on one time. Respect given is respect received.